Across the world, animal advocates are praising Ringling Bros. for pledging to retire its elephants by 2018. For The New York Times, the move isn't quite enough. The paper's editorial board published an op-ed titled "Why Not Retire the Circus Elephants Now?" on Friday urging Ringling to dispense with the 3-year delay and expedite the animals' retirement. "But big-animal circus acts belong to a different age," it reads, and elephants no longer belong in them. In a world full of cruelty toward species not our own, we'll take good news where we can. 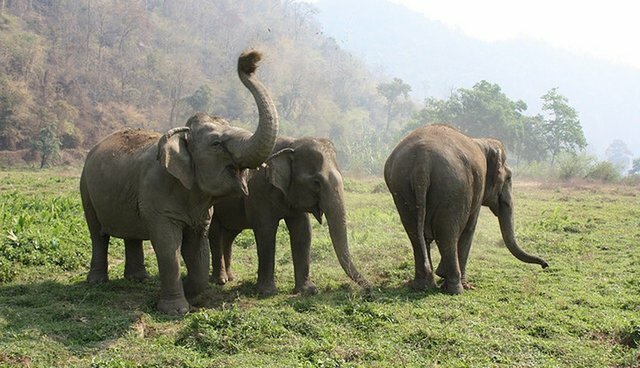 There is every reason to welcome the promise of retirement for the elephants, although it would be better if they did not have to wait so long. The piece also suggests that the delay may be a clever ploy to sell tickets for audiences to see the circus "before they leave the ring forever!" Ringling's announcement has already set a powerful precedent for circuses around the world. The company could do even better by taking the Times' sage advice.